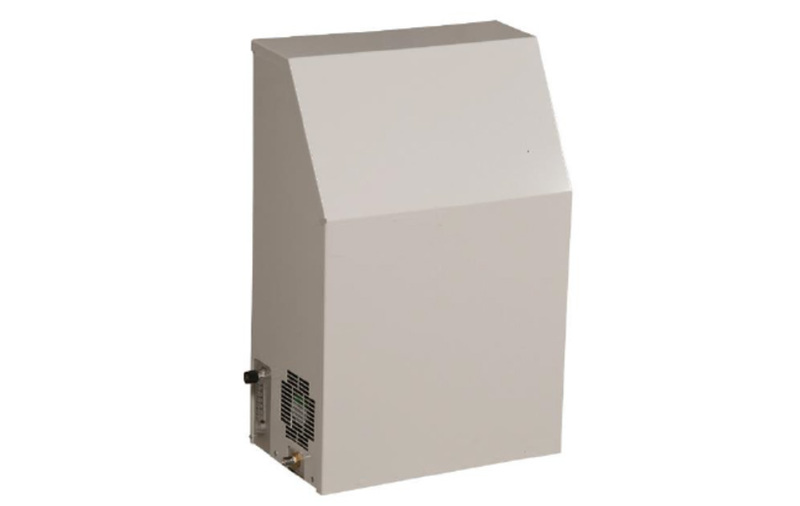 Healthier air quality for users and employees less or no chlorine smell. Aqua Gen is the first NSF approved ultra-fine bubble, nano bubble swimming pool technology. 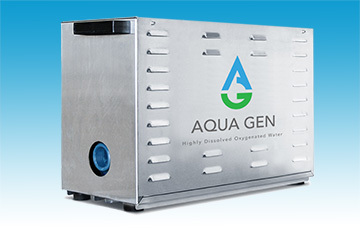 Aqua Gen is an advanced oxygen water treatment system designed for cleaning swimming pools, spas and water features. The Aqua Gen has commercially been installed in more than 100 pools and has proven to bring many benefits to both pool owners and pool users. The Aqua-Gen pure oxygen feed system injects pure dissolved oxygen into water to help increase the available dissolved oxygen content. Increase the waters oxidizing and disinfecting potential. Water naturally balances its oxygen content with the earth's atmospheric pressure. Whatever the available content in the air, is the largest potential a body of water will hold. Higher oxygen levels in the water have proven to give higher disinfecting and oxidizing capabilities along with outstanding water quality. Aqua-Gen injects, pure oxygen molecules into the water increasing the dissolved oxygen content in the water. Oxygen has proven in some cases to kill microorganisms that chlorine alone cannot. The extra disinfecting and oxidizing potential helps decrease up to 40% of the amount of chemicals used. Lowering the amount of chlorine also reduces the amount of balancing chemicals. People that suffer from skin issues like eczema, psoriasis, and hypoallergenic sensitivities are probably aware that chlorine can further contribute to those issues as well. Aqua-Gen provides millions of “Ultra Fine Oxygen Bubbles” per milliliter water that help keep the skin hydrated. Even with the presence of chlorine it almost leaves the skin unaffected. The natural pressure from being in water along with the high content of dissolved oxygen is very similar to being in a hyperbaric oxygen chamber. Medical centers and hospitals use oxygenated water for healing burn patients and scars. Those that like swimming in salt water will also love swimming in oxygenated water. The feel is very similar to salt water without having to add salt all the time. Oxygenated water will also have you leaving the pool refreshed as if you just stepped out of the shower. 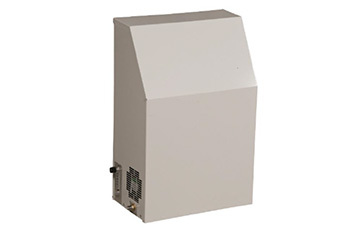 The oxygen concentrator requires simple cleaning of the air filter and that's it. No messy chemicals to clean up, no toxic waste, and no special handling. If you’re ready to start moving away from excessive chemical swimming pools, and are ready for more natural water. Time for a pool with an Aqua-Gen installation. The NSF, the American National Sanitation Organization is an international public health and safety organization. Founded in 1944 NSF worked with industry partners to make swimming pools, spas and recreational water products safer. NSF/ANSI 50 covers everything from pool pumps, strainers, variable frequency drives and pool drains to suction fittings, grates and ozone and UV system. The Aqua-Gen is NSF 50 approved The NSF standards and protocols provide credibility and industry acceptance for new or growing technologies and products. Strainer availability and size No, has to be installed after the pool filter. Degree of protection: Nema 4 / Nema 12 (optional).